Steve Rogers: What’s the matter? 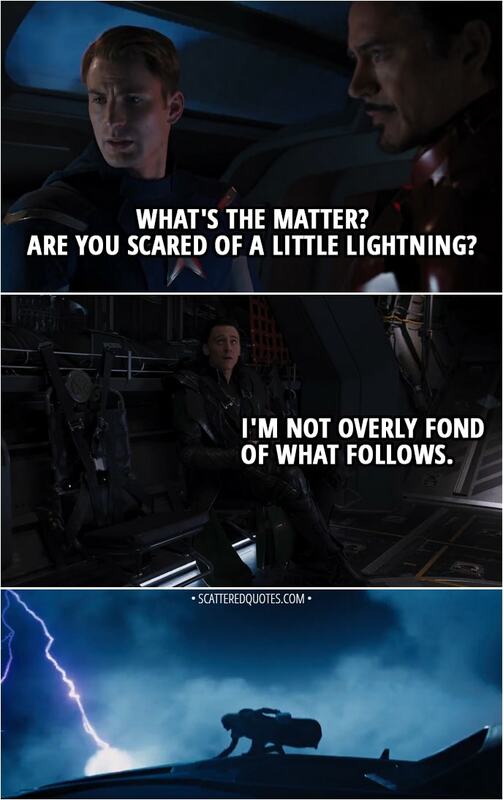 Are you scared of a little lightning? Loki: I’m not overly fond of what follows. 2.8.2018 I’m not overly fond of what follows.